There's a fantastic football match to bet on in La Liga on Sunday afternoon as it's time for El Clasico, and Barcelona playing an out-of-sorts Real Madrid side at the Nou Camp. We've got bookmakers best odds for Barcelona v Real Madrid below, an El Clasico preview, and the betting offers that you can claim if you're going to be betting on this La Liga fixture. Plus, we reveal the best bookmaker to watch a live stream of El Clasico at. Check out the best odds that online bookmakers offer for a Barcelona win (H), a win for Real Madrid (A), or a draw (D) below. Use the ALL ODDS tab to view more bookmakers odds. NB: Bookmakers best odds for Barcelona v Real Madrid correct at the time this match preview went live and are subject to change. Last updated: 02:31 on 28/10/2018. As well as online bookmakers best odds, we've also listed the betting offers that you can use when betting on La Liga's first El Clasico of the season; Barcelona v Real Madrid. 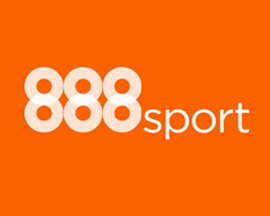 Join 888sport using promo 'FOOTBALL' and bet £10 on any market and you'll get £30 in free bets and a bonus £10 free bet to use on Barcelona v Real Madrid. New Customers only. £10 minimum deposit using promo code "FOOTBALL".First bet must be placed on any market. Minimum stake £10 at odds of 1/2 (1.5). Free bets credited upon qualifying bet settlement and expire after 7 days. Free bet stakes not included in returns. Deposit balance is available for withdrawal at any time. General deposit method & withdrawal restrictions apply & further T&C’s apply. 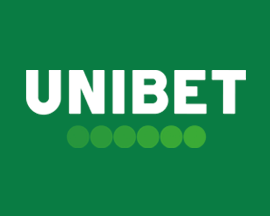 Join Unibet today and bet £10 on any of their El Clasico markets and they’ll give you two £10 free bets and a £10 bonus to use on some of their casino games! New Customers Only. 18+. £10 Free Bet on Spurs vs Man City. £10 Free Bet on Lazio vs Inter Milan. £10 Casino Bonus. 35x Wagering Requirements for Casino Bonus. Further Terms and Conditions Apply. BeGambleAware.org. 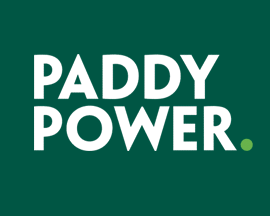 Signup with PaddyPower today and bet £20 on Barcelona v Real Madrid and if you don't win your bet, they'll refund your original £20 stake - in cash! The first El Clasico of the season takes place on Sunday, when Real Madrid head to the Nou Camp to take on Barcelona with the hope they can finally bring an end to their current losing run. Bookmakers offer Barcelona as favourites to win this highly anticipated El Clasico, and given Real Madrid’s abysmal run so far this season, it’s no wonder that Barcelona are expected to win. The last outing between these Spanish powerhouses ended in a 2-2 draw back in May. Real Madrid have only won 1 of the last 5 La Liga matches they've played and have only managed to score 1 goal, while Barcelona have 2 wins, 2 draws and 1 loss scoring 11 times. Real Madrid may have won both Super Cup fixtures last season, but they are struggling to adapt to Lopetegui's style especially after Cristiano Ronaldo left for Juventus in the summer. Sunday’s El Clasico will be the 177th time these teams have played each other in Spanish football’s most famous battle, however this will also be the first time in more than a decade that this fixture will be played without Messi and Ronaldo. In the lead up to the latest El Clasico between Barcelona and Real Madrid, we've taken a look at both team’s form and the player injuries that Valverde and Lopetegui have to deal with. After a relatively unimpressive run, Barcelona seem to be regaining some form, taking back the top spot in the La Liga table after a 4-2 victory against Sevilla last weekend. Unfortunately their key player, Lionel Messi, came off just 26 minutes into Saturday nights match against Sevilla, having suffered a heavy fall that looks to have resulted in a broken arm. The Argentinian superstar is set to miss at least 3 weeks action and manager Ernesto Valverde could have done with his majestical presence against fierce rivals Real Madrid. They may have had a tough start to their La Liga campaign, but Barcelona are now on a good run following a 2-0 win over Inter Milan in the Champions League on Wednesday evening. Valverde’s side do seem to be struggling a bit in midfield though, and while there's amazing talent up front, they'll still need to work hard if they're going to beat Real Madrid. Lopetegui's Real Madrid side are having their worst start to a La Liga season since they went pointless in the final 5 games ten years ago in the 2008-09 season. The Champions League titleholders have suffered 3 losses in their last 5 matches, and Julen Lopetegui’s side have dropped to 7th place in La Liga table. Their last outing in La Liga saw both the players and Lopetegui jeered off the field after a 2-1 loss to Levante, and they really can’t afford another loss in El Clasico this Sunday. Real Madrid have struggled to put the ball in the back of the net recently, and with only 14 points from a possible 27 since Ronaldo left, they look vulnerable for the first time in years. Their other star player Gareth Bale hasn’t looked convincing either, and with only 13 goals scored, this is by far Real Madrid’s worst start to a La Liga season since 2004-05. We know that Lopetegui’s squad is more than capable of beating Barcelona, but they really need to bring everything they have to Sunday’s fixture if they want to be in with any chance. Both sides have struggled this season, and while bookmakers offer Barcelona as favourites, the bigger picture is the fact that both sides look vulnerable for the first time in nearly a decade. Between them, Barcelona and Real Madrid have won 13 of the past 14 seasons La Liga titles, but this year there could just be another team that proves stronger come next May! In saying that, both teams boast some of the best talent in European football and the 2018 El Clasico is set to be one of the most exciting football matches of the season. If you want to watch the El Clasico between Barcelona and Real Madrid via a live stream on Sunday, then we recommend taking a look at Bet365's Live Streaming service. As long as you've had a bet settled at Bet365 within the last 24 hours (or currently have a funded account with them), you'll be able to watch Bet365's El Clasico live stream*. If you aren't a member of this top rated online bookmaker, make sure you check out their current signup offer for new customers below as there's still time to join before El Clasico kicks-off. *El Clasico live stream not available in Spain, Andorra, USA, Middle East or North Africa. To add to the In-Play excitement, Bet365.com stream over 140,000 events live to your PC every year - so you can bet as the action unfolds. 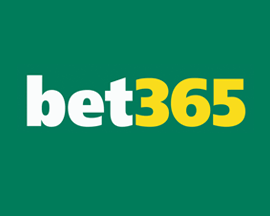 To use Bet365’s Live Streaming service you will need to be logged in and have a funded account or to have placed a bet in the last 24 hours. Any fixture/event on Bet365’s website which has the Play or Video icon next to it is scheduled to be shown via Live Streaming. The El Clasico between Barcelona and Real Madrid is the most hyped rivalry in world football, and usually attracts a worldwide audience of around 500 million people. Barcelona and Real Madrid have played each other in La Liga's El Clasico a total of 176 times with Real Madrid just having the better record with 72 wins, compared to Barcelona's 70. Real Madrid also have the upper hand when it comes to goals scored as they've put 285 goals past Barcelona in those 176 matches compared to 282 for Barca. The last El Clasino that took place at the Nou Camp in La Liga occurred on the 6th of May earlier this year when the match between these fierce rivals ended in a 2-2 draw. Suarez and Messi scored for Barcelona with Ronaldo and Bale replying for Real Madrid. The last 6 El Clasico matches that have taken place in La Liga involving these teams have resulted in 3 wins for Barcelona, 1 for Real Madrid and 2 of the matches ending in a draw. The biggest win that Barcelona have ever had over Real Madrid in an El Clasico match in La Liga was on the 24th of September in 1950 when they won 7-2 in front of their home fans. The highest score that Real Madrid have ever beaten Barcelona by in La Liga was the 8-2 win on the 3rd of February in 1935 when they beat them at the Santiago Bernabéu. Looking at the last 5 fixtures that Barcelona have played in all competitions, they've won 3, drawn 2, and not lost scoring 11 goals (2.4 goals per game) and conceding a total of 6 goals. Real Madrid's record over their last 5 matches in all competitions is won 1, drawn 1 and lost 3. They've scored less than Barcelona, 3 in total (0.6 goals per game) but conceded less (5).